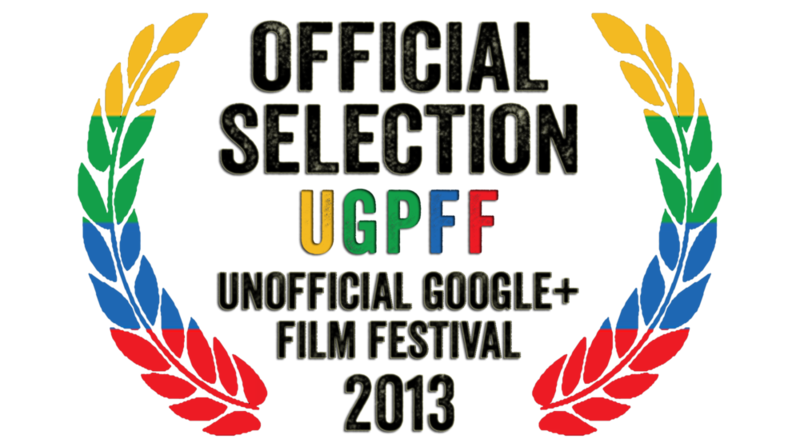 I'm very pleased to announce that a little movie I made last year, Spirits of the Past, has made it into the Unofficial Google+ Film Festival. It's not the catchiest name for a fetsival admittedly, but considering the concept behind Spirits of the Past - a film made entirely online, from first draft to final cut - getting its festival debut at a festival which only exists online is quite fitting. Impatience is a virtue. After filming my first short last year, I was keen to make another almost immediately. Just something fun I could throw up on youtube. As I started working through some ideas, I started to think about how long the previous short took. How much time I spent sourcing the cast and crew, organising locations, scheduling the shoot, editing the raw footage. Too much. I wanted it to be faster. I didn't want all that hassle. I'm a writer, I'm inherently lazy. Isn't there some way I could make a film, from initial idea to final cut, without ever leaving my sofa? Spirits of the Past is what came from that idle notion. A movie made entirely online. The original script, the auditions, the table read, the rehearsals, the editing, the whole thing was done from my sofa. I've still not met half the cast in real life. We did the whole thing live, a 15 minute take. Much of the editing was done live too. I was part of the hangout but hidden, and from there I was able to control the camera and move between the characters without Google forcing my hand. Once it was done I made a few tweaks, tidied up the sound as best I could, cut out some noise, and stuck some credits to the end. Aside from that this is essentially a raw live performance. This is not the future of film. The audio and video quality isn't nearly good enough yet and the frame is limited (you can't record live hangouts on an iphone yet, so movement around locations is inherently tricky. I tried.) but as an experiment, as a proof of concept, I am extremely pleased with the results. Huge thanks to all the actors who gave their time. Let me know what you think, share with your friends. Call up some old pals maybe, it'd be nice to catch up right? Stay gold.